Receive a complimentary quote and verbal site assessment with one of our qualified arborists. Arbor Operations offer tree care and shrub maintenance for residential, real estate developments and commercial properties. Discover how Arbor Operations can expertly and efficiently assess the condition of your property and determine the best course of action. 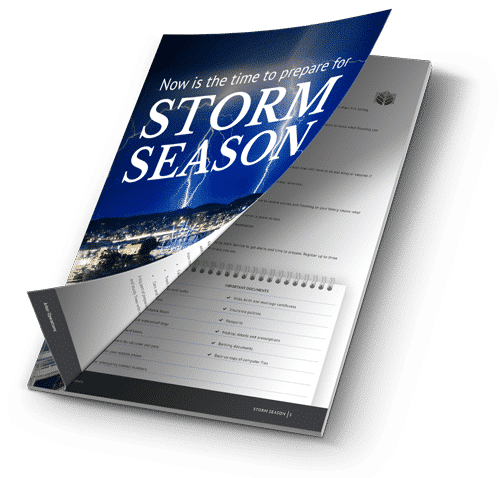 Ask Arbor Operations about preparing a tree management plan for your school. As arborists we are trained in the science and practice of tree care. Are you looking for a Brisbane arborist or tree expert? 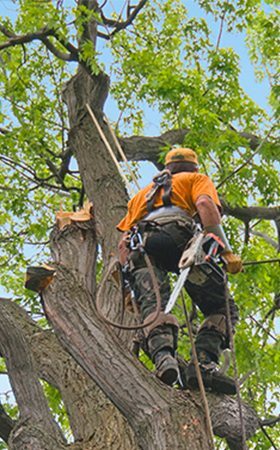 Arbor Operations are expert arborists and tree doctors, trained in the science and practice of tree care. If you want trees that are not only a beautiful asset to your property but safe, healthy and well-kept, you’ve come to the right place. We know what a tremendous difference certified arborists can make to the health and wellbeing of your trees – and the difference that healthy trees can make to the value, safety and aesthetics of your property. With more than 30 years’ experience in tree surgery and arboriculture, we offer the best tree care in Brisbane. Our holistic range of tree services includes everything from consultation and practical completion of tree lopping and cutting services, tree trimming and pruning, tree removal (including palm tree removal), stump grinding, and tree mulching. 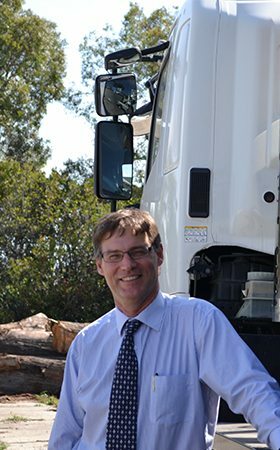 What sets Arbor Operations apart when it comes to tree care in Brisbane? We are honest and authentic in our approach to our work. 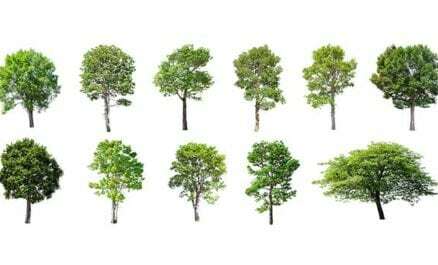 With prompt and reliable customer service, our tree experts will address all of your tree-related needs and concerns. We are deeply committed to sustainable environmental practices, such as recycling mulch and using energy efficient wood chipper technology. We use advanced technology, work to Australian standards and are fully insured. We also offer a warranty on our workmanship. Our thorough understanding of arboriculture allows us to offer timely, accurate advice on how to care and maintain your trees, based on industry best practice. Trees are important for schools. They provide shade and vital cooling from the harsh Australian sun. Arbor Operations offer a range of tree services for Brisbane and Southeast Queensland educational institutions, from primary and high schools through to universities and colleges. 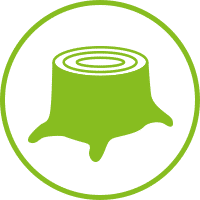 Our services include dealing with all tree-related safety risks, like falling deadwood, hanging branches, raised roots and stumps, as well as impacts to buildings and maintaining school surroundings. We can survey, assess and provide risk management reports to help you better manage risk and your natural assets. Our programs are tailored for you to achieve the appropriate aesthetic impact for your school’s community. Arbor Operations provides tree care and management services for construction and landscaping projects. We use advanced digital technology and proven scientific methods to assess the health and condition of a tree, such as tree surveying with the latest GIS technology. 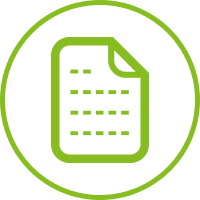 We can also provide you with a detailed report outlining our professional assessment of your project. We don’t recommend removing trees unless it is absolutely necessary and we are dedicated to helping you achieve the best outcome for your project, even with the most complex designs. Your home’s garden is unique. If you’re looking for a high-quality arborist in Brisbane to keep a favourite tree in immaculate, healthy condition, trim your hedges or remove a damaged or diseased tree, Arbor Operations can help. We help residents in Brisbane’s suburbs keep their trees healthy and well-cared for. Your trees, plants and hedges are natural assets, adding beauty and value to your property. However, without regular maintenance, trees can become overgrown, suffer from poor health due to pests and disease, or cause considerable damage to your property. In some cases, they may even create a safety hazard. Arbor Operations can trim and prune your garden and remove any unsafe trees, while making your garden’s health and vitality a priority. As a body corporate, you have a duty of care and responsibility to ensure all common property and assets are well-maintained and pose no risk to occupants. We can help keep your grounds in pristine condition and your residents safe with regular risk assessment inspections, tree pruning and tree maintenance programs. Talk to our team to find out how we can help you protect and maintain your body corporate assets. We deliver consulting arborist services to southeast Queensland governments and local councils. 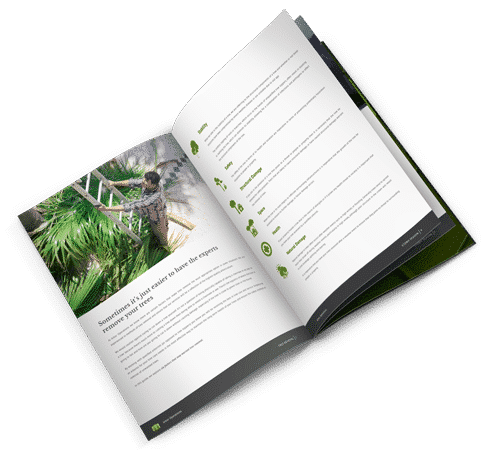 This ranges from tree report services and advice on local laws and vegetation protection orders, to diagnostic services such as disease diagnosis, simple microbiology, soil analysis, soil moisture testing and PH testing. We provide thorough advice on tree value appraisals, disease and decay detection, hazard assessments, tree management and maintenance plans. As one of the leading Brisbane tree experts, we’re more than happy to show you why we’re the best. If you need an arborist in Brisbane, our team of experienced tree specialists can help. We’ll happily visit you and provide you with a free quote. What is the difference between a tree arborist and a tree lopper? Although they may superficially appear to offer the same service, the quality of work offered by a tree lopper is extremely different to that of a tree arborist. Tree lopping involves indiscriminately chopping off tree branches for immediate aesthetic improvement, without regard for the long-term impact on the tree’s health. Tree lopping can actually weaken and stress a tree, leaving it vulnerable to pest disease. In contrast, tree services performed by an arborist are guaranteed to properly maintain the health and appearance of your tree. An arborist — educated in the science of arboriculture — is qualified and trained to make a well-considered assessment and changes that will preserve the tree’s health and vitality. They are fully insured and often reputable members of organisations such as Arboriculture Australia (AA), Queensland Arboricultural Association (QAA) and Landscape Queensland. 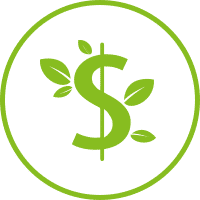 If you care for the health of your garden and your property, it is a wise investment to seek out the expertise of an arborist, who can take care of the long-term health of your landscaping. 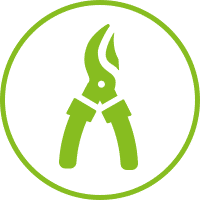 How do I find a qualified Brisbane arborist? Hiring a reputable and qualified Brisbane arborist is the best way to ensure your trees’ health and protect your property from damage. Having said that, it’s important to seek a certified Brisbane tree arborist with a wealth of experience and strong customer testimonials. Arbor Operations has been helping and advising Brisbane residents, property developers, body corporates, government and schools on how to best maintain the health of their trees since 1986. Our staff at Arbor Operations are members of numerous industry bodies so you can feel confident in our friendly, professional, safe and caring service. We have a depth of knowledge (which we are more than happy to share) to help you plan for the long-term health of your trees and landscaping. Regarded as one of the top Brisbane tree experts, we receive customer testimonials about our exceptional level of care and attention to detail. We follow only Australian standards and world-renowned best practices. We are long standing members of the Queensland Arboricultural Association (QAA), the Urban Development Institute of Australia (UDIA), Arboriculture Australia, the International Society of Arboriculture (ISA) and Landscape Queensland. Where do you offer your Brisbane tree services? We provide tree consulting, tree cutting, tree removal, tree trimming and pruning, palm tree removal, stump grinding, and tree mulching services throughout South East Queensland. We work in the greater Brisbane, Gold Coast and Sunshine Coast regions. “Looking out at our back garden tonight reminded me that we have not thanked you and your men for a great job. We are so pleased with the professional way your men did their work and the garden looks so much improved. Thank you very much”. “Just wanting to let you know that the guys turned up this morning right on time and did a great job, it actually surprised me how quickly they were able to get everything done. They were very professional and the job they did looks really good. “I would like to take this time to thank the team of guys that were here yesterday to carry out the work at the complex. I found them to be extremely professional and friendly and the job carried out was of a very high standard. As you can understand that I was always apprehensive about this work being carried out in regard to damage to paintwork etc, but I had no reason to be concerned. The guys were extremely professional and understanding and not a tree was touched without my okay. Their regard to safety was also of a high standard and working on a residential complex with people movement at all times was of concern to me but the guys always had an eye on the public areas and my residents.